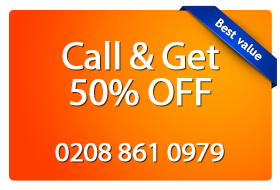 Magic Carpet Cleaning is London based company with many years of experience. Our Professional cleaners are fully trained and insured to tackle all cleaning jobs. Magic Carpet Cleaning is proud to provide cleaning services in all London areas at an unmatched level of quality. As such, we have employed expert and reliable technicians, who are fully trained to the standards of our industry. Furthermore, all of our carpet cleaners in London hold full carpet cleaning insurance to do what they do best and to avoid any unpleasant situation that might arise from carpet cleaning incidents of any sorts. A full carpet cleaning insurance is not something anyone can afford. It involves investing a serious amount of time, study and practice. The cost of carpet cleaning insurance also comes at ever growing prices. That’s why there are a lot carpet treatment agencies who do not carry full cleaning insurance. We are always investing into our cleaners. The better job they do and the more experience they gather, the better the service they provide and also lowers the risk of accidents. You can rest assured, because you are in professional hands and if an accident happen you are covered by our full carpet cleaning insurance. Why should you choose our London carpet cleaners? Our carpet cleaners are highly-skilled, properly trained to our industry’s standards and they have a wealth of experience in delivering professional carpet cleaning services in London. Our carpet technicians are fully insured: anything that goes wrong is dealt with by the insurance company. Your mind is at ease: only qualified, professional, fully insured carpet cleaners can give you that. And Magic has all the tools to cover all risks and unpleasant situations that might arise from having your carpets cleaned. Our London carpet cleaners have a tremendous amount of experience. They know very well what they do and the professional carpet cleaning services they provide are second to none. We’ll clean your carpets in London the right way, from our first try — and that’s guaranteed or we re-clean for free. To take this further, call us now on 0208 861 0979.